One of the crucial parts of building a home is hiring the right and reputable builder. As long as you choose the right one, you'll have the power and trusted a partner who will do the job right. Not only will this ensure the dream home you've always wanted, but something that your household will enjoy for a lifetime. However, if you settle for less, then you get a home builder you might just regret, either from the build itself or for years to come. So, how will you know who the right builder is, then? Read on as I show you the five tips to select a quality homebuilder! Remember that building your home isn't just a temporary residence. It will be where you'll live for the next how many years! This will be the place where you'll experience the beautiful memories, from hearing your children's laughter down to where you'll entertain relatives and close friends. That's why the last thing you'll want happening is to worry about mishaps, repairs, or damages incurred from a house that wasn't built properly. 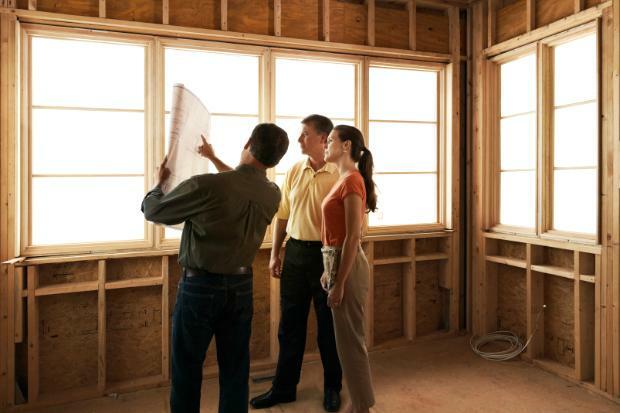 When selecting a homebuilder, you should focus on the quality of their work. You can do so by asking if they can tour you around their past projects, checking references, and questioning the builder about what materials will be used. Your custom homebuilder shouldn't only have the expertise but the quality materials to build a solid foundation to last for years to come. Ask about the kind of materials they use so you have ensured a quality home. This is another crucial thing to do. You can't find a quality homebuilder if you don't do your research! Don't just find the first one you see online. You have to find candidates and narrow down your search based on their expertise and quotations. You can start off by finding a homebuilder based on the location of your new home. Then, check out the builder portfolios and floor plans from past projects. You can also read up on legitimate testimonials or referrals from close friends and relatives. Create the list and start off from there. The best builders have nothing to hide, showing transparency and answering all questions asked right from the start. They will be able to give you a detailed timeline and estimate promptly. They'll also tell you what their philosophy is and the products they'll use, talking about their relationships with contractors and other people who'll help work on the house. I suggest that you don't go for a homebuilder who hesitates or has trouble answering any questions clearly, as they may be hiding something or not know their stuff. Another important thing is to ask questions. You don't need to feel worried about asking too much. There is never a thing about asking too many questions. Remember, this is a home you plan to build, and it will be a massive investment of both time and money. So list down any questions you may have in mind. Good builders will be willing to answer all questions, regardless of how ridiculous they seem to be. Not only that, but they will encourage you to ask more! Last but not the least, you have to make sure that you and the builder's communication styles are synced. The design team and builder you choose will have the similar goals and vision, listening to yours as well and making sure that they follow the design according to what you want and your lifestyle! Connect on both needs and wants to avoid any major issues in the long run. Don't go for builders who respond late but those who establish a relationship and remain professional. And there you have it! With the quality homebuilder like Q Coast Homes, you won't need to worry about how your home is being built and what to expect after. As long as you do your research and find someone who knows their stuff, then you can enjoy a hassle-free process from start to finish. I hope that this article on the tips to select a quality homebuilder gave you an idea of what you should begin doing when building your house. So don't wait any longer and follow any of these tips today! If you have any questions or want to share your tips and experiences on finding a homebuilder, then comment below. Your thoughts are much appreciated.